Quatreau Touch™ brings outstanding technology, style and convenience to your kitchen. Our innovative touchscreen tap dispenses high volumes of boiling, chilled and sparkling filtered or pure drinking water, plus hand-hot and cold for washing and rinsing. The world's most advanced tap. Touchscreen controls dispensing boiling, chilled, sparkling, hot and cold water for the home. Quatreau Touch™ is the only tap of its kind. Quatreau Touch™ is the most advanced tap developed over a decade of continuous research and development making it one of a kind. 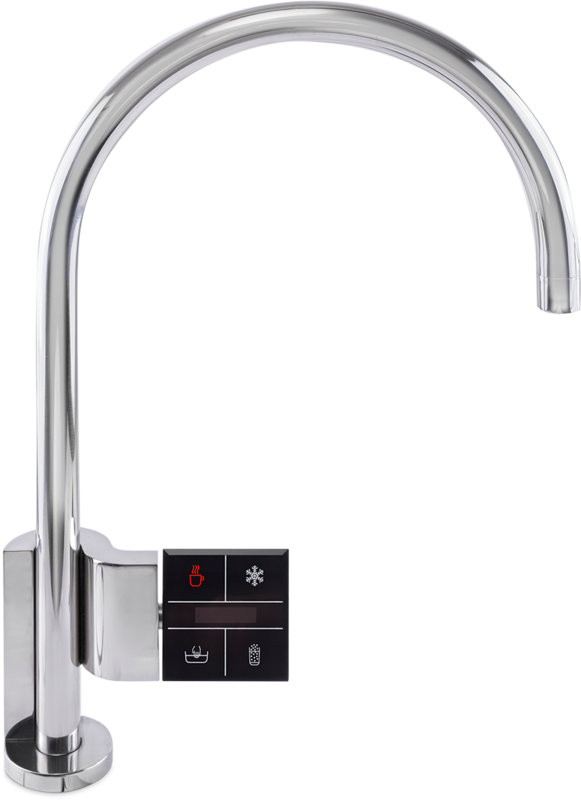 With five choices of water – Boiling, Chilled and Sparkling, plus thermostatically controlled hand-Hot and Cold for washing – an intuitive touchscreen control panel and the option of PureH2O Purity water purification, your kitchen boasts the latest technology with Quatreau Touch™ whilst eliminating bottled water. Reduce your environmental impact with Quatreau. Reduce your environmental impact with Quatreau Touch™. Chilled and Sparkling water on tap means you’ll never need to buy plastic bottled water again; so that’s reduced carbon footprint, zero food miles and no plastics waste. 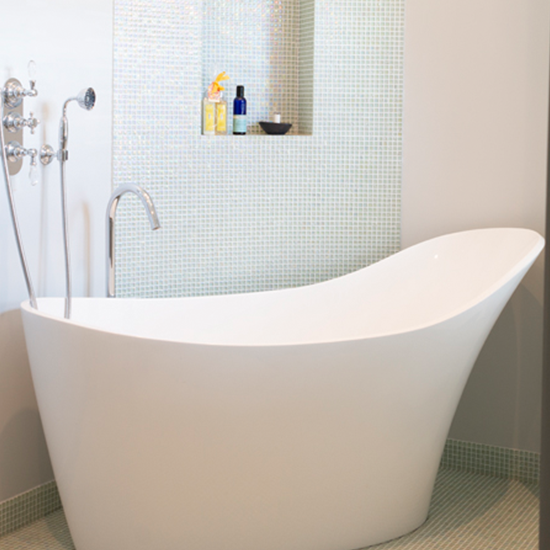 Quatreau® tap systems are the most energy and water efficient on the market, further saving environmental resources. PureH2O is the only brand to have a certified 95% reduction in carbon footprint (Best Foot Forward) versus that of bottled water. Quatreau Touch™ contains inbuilt water filters. Quatreau Touch™ contains inbuilt water filters, but upgrade to the PureH2O Purity water purifier and you’ll enjoy drinking water of the absolute highest quality. Pure water tastes superior to any other water, enhancing the flavour of your tea, coffee and cold drinks. Safe, healthy and purer than bottled, guaranteed. Tap water throughout the UK contains high levels of Metaldehyde (slug poison) that breaches all water regulations – our Purity range is guaranteed the most effective method for removal of this and other waterborne pollutants. 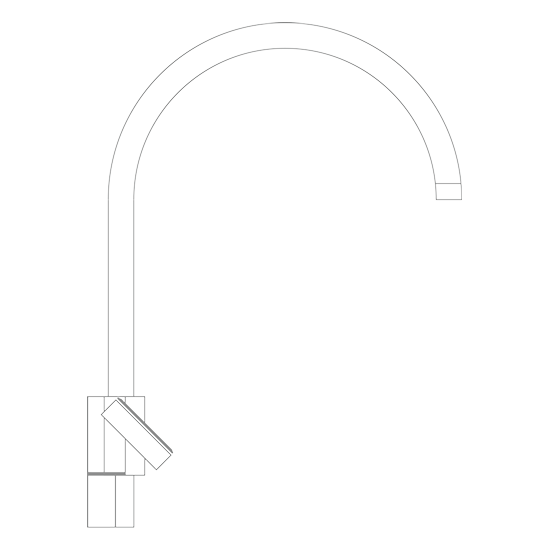 Quatreau Smart™Tap brings style, substance and unbeatable technology to your kitchen. Quatreau Touch™ brings style, substance and unbeatable technology to your kitchen. Available in either brushed or polished stainless steel finishes. Our innovative touchscreen control panel will be the talking point of your home. Specify exactly what you need with Quatreau Touch™. Specify exactly what you need with Quatreau Touch™. Choose it as your only kitchen tap with all five functions, or as an additional drinks prep tap simply equipped with Boiling water, Quatreau Touch™ delivers exactly what you need – without delay. In-built safety features and a cool-to-touch hoop ensure safety wherever it’s installed. Dispenses 3ltr instant draw at 97-99° C (the ideal temperature for preparing tea and coffee) and a further 1.5ltrs/minute without any loss in temperature. 20 ltr/hr at a constant 5° C.
20 ltr/hr at a constant 5° C. Quatreau® keeps on delivering without the airlocks found in other sparkling water taps. Upgrade to Quatreau Touch™ with Purity water purifier for the ultimate taste – it’s purer than bottled water, guaranteed. Quatreau Touch™ can be placed into your existing kitchen sink or additional prep sink at a rear or side position, the touchscreen control panel with right-handed position. 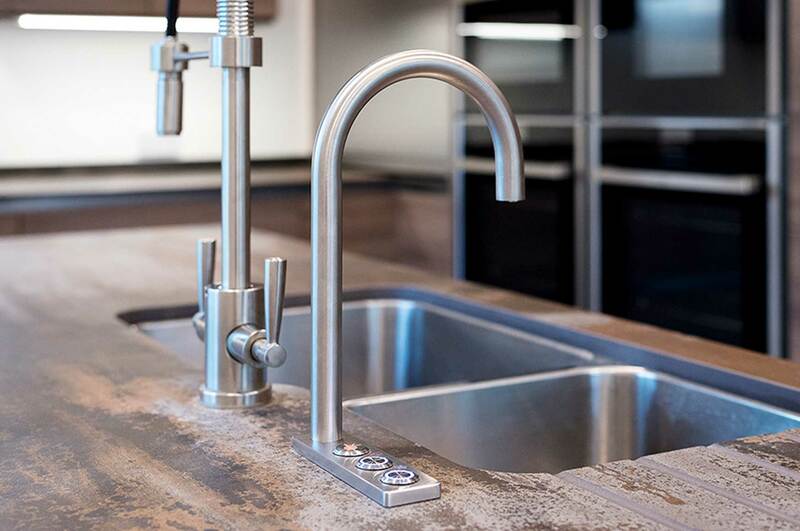 A standard household or commercial premises will usually have everything our engineers need to install your Quatreau Touch™: a 600m cupboard, 15 mm lever ball valve or equivalent isolated mains cold water supply and a double 13 amp SSO powerpoint. 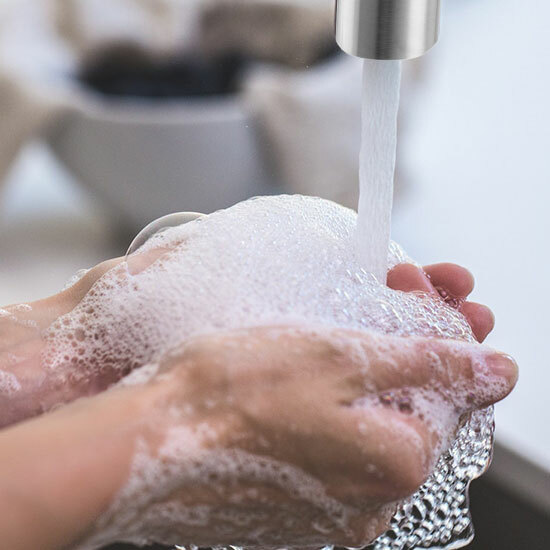 We offer a 3-year warranty on a Quatreau Touch™ with standard water filter and a 5-year warranty on a Quatreau Touch™ with optional water purifier (the latter requires servicing just once a year; we recommend our Annual Service Agreement for expert service by our specially trained engineers).